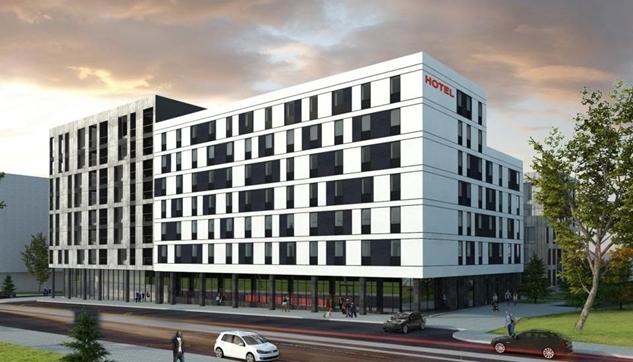 The high quality of the services provided by the BatiPlus engineers as well as the confidence gained throughout the cooperation with ORBIS S.A. secured us the contract for the supervision of the construction of the IBIS hotel in Vilnius. The scope of the services entrusted to BatiPlus includes the Quality Supervision of the conducted works and the Technical Control of the object. The new IBIS Vilnius hotel will have 164 rooms, a restaurant, a bar and 2 conference rooms. The new investment in Vilnius is a part of the development strategy of the Orbis Hotel Group in the Baltic countries. We acknowledge a big potential of this market and want to increase our share in it. The Ibis brand is well-known and popular in this part of Europe – there are already 5 Ibis establishments in Lithuania and Latvia – Gilles Clavie, the president of Orbis, describes in the quoted press release. The opening of the new hotel is planned for mid 2018.